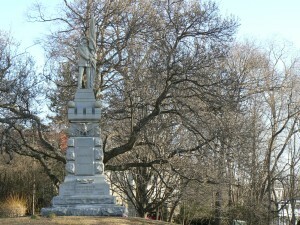 Greenwich’s Soldiers’ and Sailors’ Monument, dedicated in 1890, sits on a hill at the intersection of East Putnam and Maple avenues. 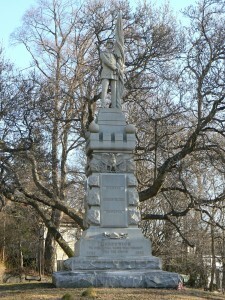 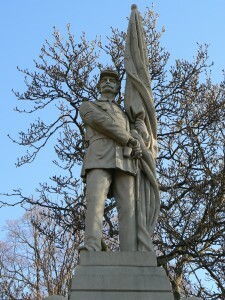 The monument is topped by a standard-bearer, similar to monuments in Unionville and St. Bernard’s Cemetery in New Haven that have been highlighted in previous posts. 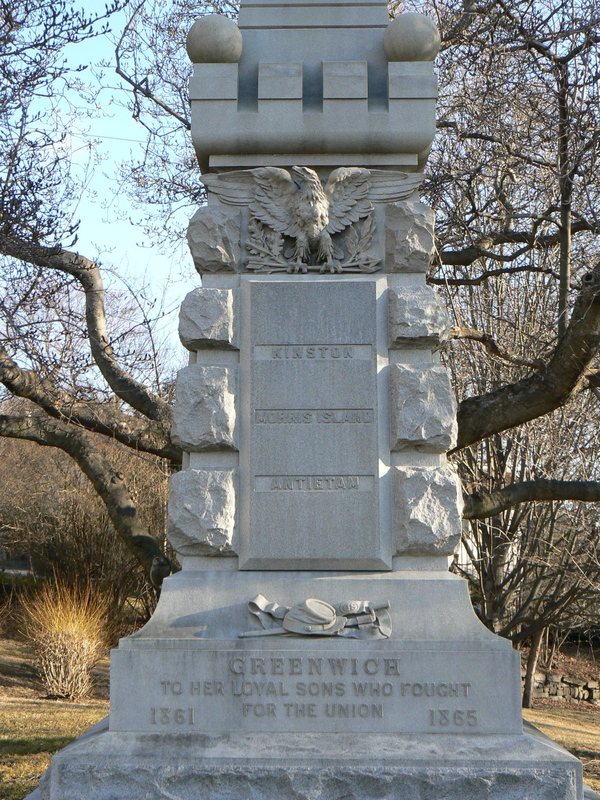 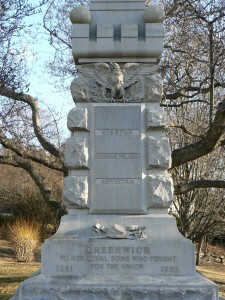 The Greenwich monument faces south, and an inscription just above the base bears the town name and a dedication “to her loyal sons who fought for the Union,” as well as the years of the Civil War. 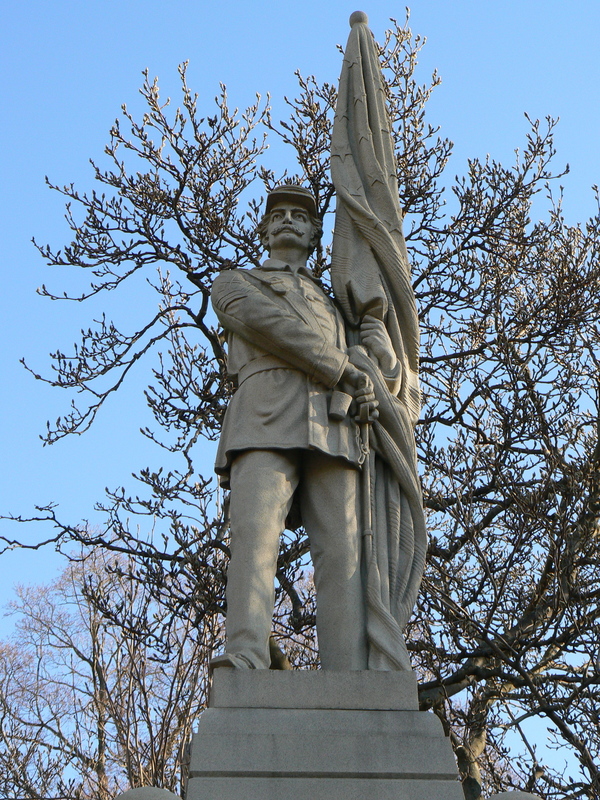 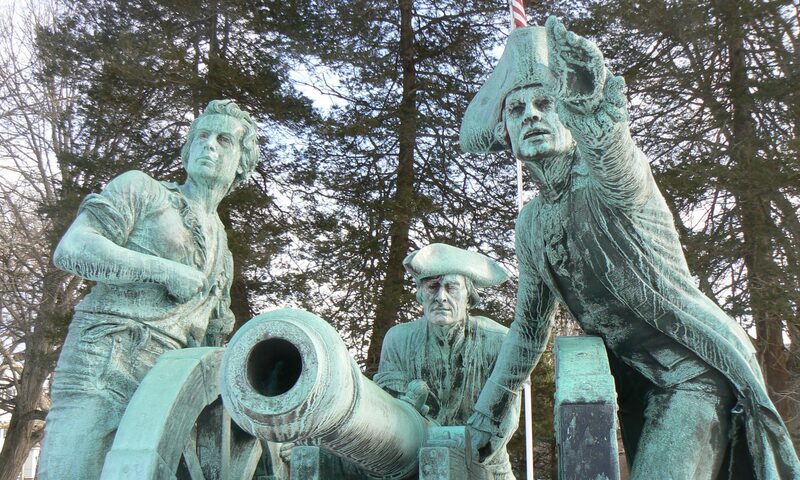 The front of the monument also lists three battle sites: Kingston (Ga.), Morris Island (S.C.) and Antietam. The east side of the monument lists Appomattox, Gettysburg, Vicksburg and Port Hudson (La.). 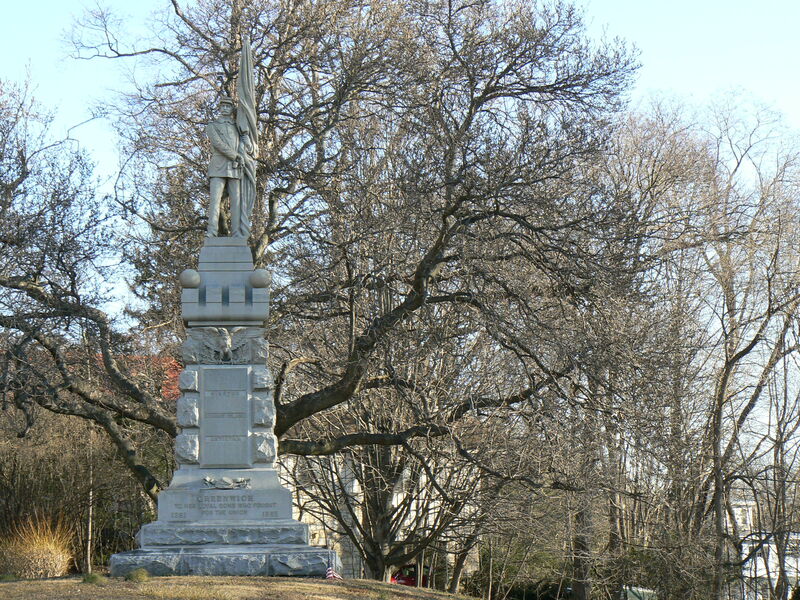 The south side lists Drury’s Bluff, Petersburg and Deep Run (all in Virginia), and the west side lists New-Berne (N.C.) , Darbytown Road (Va.), Fort Fisher (N.C.) and Fort Gregg (S.C.). 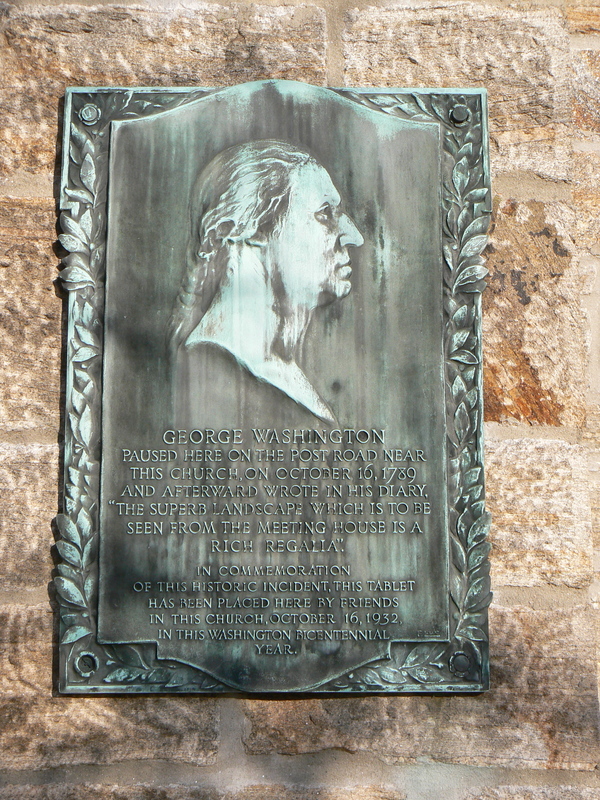 Across Maple Avenue, a 1932 plaque on the Second Congregational Church commemorates a 1789 visit by George Washington, who “paused here on the Post Road near this church and afterward wrote in his diary ‘the superb landscape which is to be seen from the meeting house is a rich regalia.’” The plaque was dedicated as part of Washington bicentennial celebrations.